Blockchain conference, Blockchain Expo, will be holding the Europe conference in RAI, Amsterdam 27-28 June 2018. An opportunity to hear from thought provoking content within blockchain for enterprises, ICO and cryptofinance, transforming financial services, developing blockchain applications and blockchain technologies. Blockchain Expo Europe will also be hosting the inaugural blockchain awards, The Blocks during the first evening, 27 th June 2018. An opportunity for everyone involved and interested in blockchain technologies to assemble together and celebrate ‘excellence’ in blockchain, during a fun filled evening. Blockchain Expo World Series is set to take place in London, Amsterdam and Santa Clara in 2018. 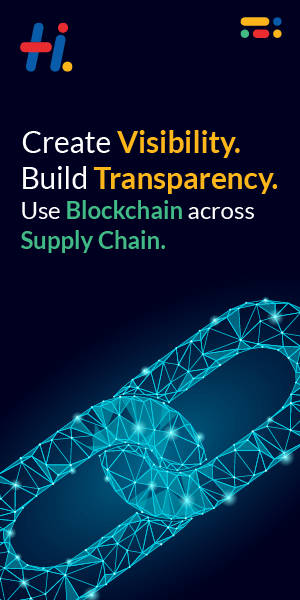 Each event will bring together in excess of 8000 attendees and 120+ speakers for two days of world-class content delivered from leading brands embracing and developing cutting-edge blockchain technologies.